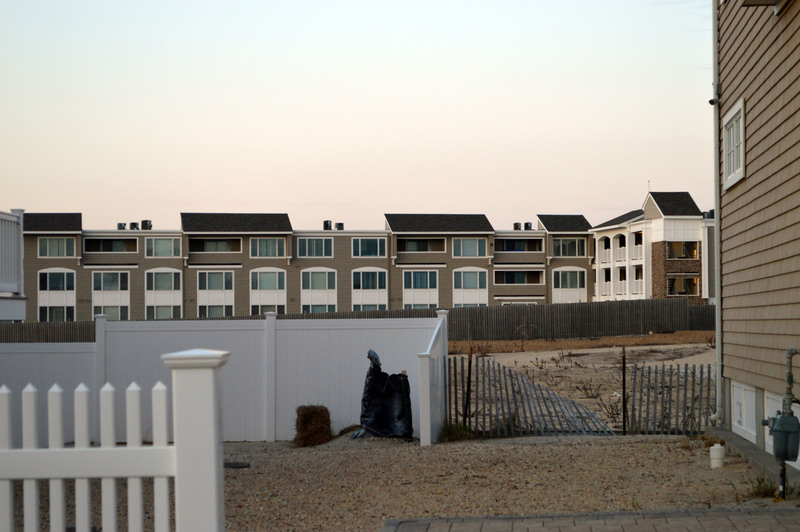 Six hours of testimony – three of which occurred Wednesday night – before the Brick Township Board of Adjustment did not result in a vote being taken to rebuild homes on a small portion of the Camp Osborn neighborhood. Camp Osborn, a former bungalow community north of Normandy Beach, was destroyed by a fire during Superstorm Sandy. The neighborhood consisted of three ownership entities, including one that was owned by Bob Osborn who operated a land-lease system. Osborn has since died and a developer is proposing seven homes to replace the 30 that previously stood on the site. The resident at 107 Lyndhurst Drive, which backs up to Camp Osborn, is suing to stop the development. A court previously rejected Brick’s approval of 13 homes for the site, which was opposed by the same homeowner. Wednesday night’s hearing consisted primarily of attorney John Jackson questioning witnesses about the proposal, with attorney Robert C. Shea standing in opposition. Shea has never specifically stated why his client is opposing the application, though Jackson has hinted during a back-and-forth with Shea that the neighboring property owner does not want their view restricted. The proposal to rebuild the portion of Camp Osborn, Jackson said, consists of seven homes, each uniquely designed with modern coastal architecture. The developer of the 1.4 acre plot, RTS IV LLC, would build an entrance and egress road made of clam shells that would also serve the remainder of the Camp Osborn site when it is rebuilt. The plot, like the majority of Brick’s barrier island portion, falls under the R7.5 zone, which requires a 7,500 square foot lot per home. Few lots on the island, including those on Lyndhurst Drive, are that large, necessitating a variance. If the zoning code was to be strictly followed, only one home could be built where more than 30 once stood, Jackson said. 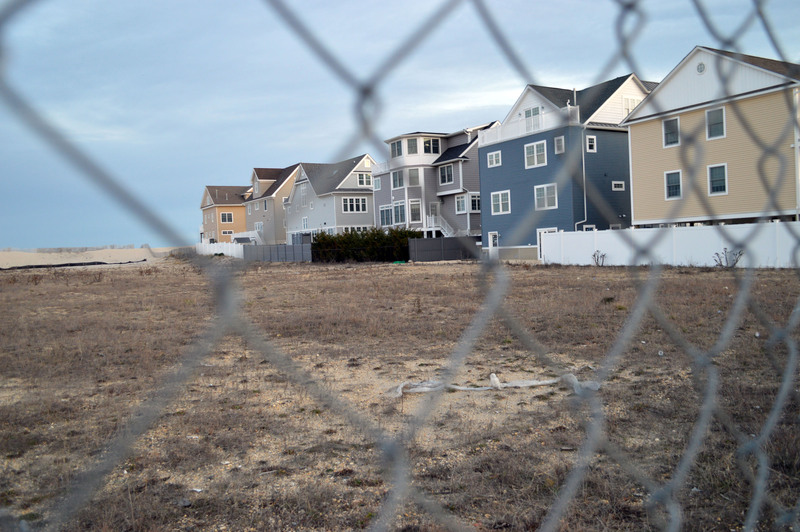 Shea has filed an appeal with the board, asking that the entire matter be dismissed because of the court ruling that held the 13 homes previously approved constituted a de facto rezoning of the property. The board, however, determined the new application was substantially different than the previous one and decided to hear the case. Shea will have the opportunity to appeal at a later hearing. The homes themselves will each have driveways and comply with modern flood standards. The block, which will revive the Cummins Avenue name from the previous community, is designed to end in a “T” shape that will allow emergency vehicles, garbage trucks and school buses to make a full turn. The seven homeowners will collectively form an association to keep up the clam shell road and some landscaping. The association would also control access to the beach, however the general public would be permitted to join and access the beach as well. Testimony took several hours, and dealt with in-depth reviews of lot lines, setbacks and similar matters. By the time the meeting ended at 10 p.m., Shea had yet to cross-examine the engineer, planner and architect on the project, nor did he present his case that the entire application should be discarded. Testimony will resume at a special meeting to be held March 14 at 7 p.m.